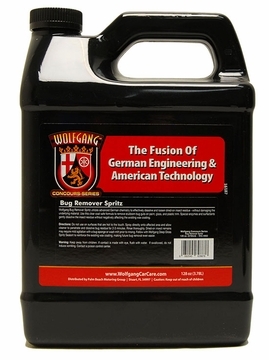 Home > Wolfgang Product Line > Wolfgang Bug Remover Spritz 128 oz. 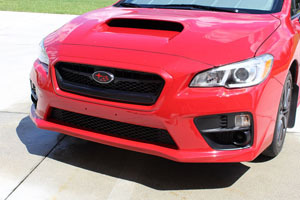 Remove the bugs, not the wax! Nobody likes to see bugs splattered all over the front of their vehicle, especially me. My predicament has always been removing the bugs without removing the wax! There’s a million-and-one bug removers on the planet, but none of them are as advanced as Wolfgang Bug Remover Spritz. My team managed to develop a special enzyme that only targets bug remains, not the wax or sealant coating. Simply put, Wolfgang Bug Remover Spritz removes bug splatter, not wax! The second hurdle in developing Wolfgang Bug Remover Spritz is the plethora of different materials and textures that are, in a word, plastered all over the front ends of modern cars. 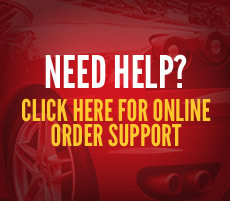 Paint, textured plastic, smooth plastic, fake plastic chrome, polycarbonate, and more all adorn the front end of any modern vehicle. These 21st materials are delicate, so it was imperative that Bug Remover Spritz is 100% safe for all exterior surfaces on modern vehicles. German chemistry made this possible, and then some. Bug Remover Spritz is 100% clear coat safe. Use it with confidence! Wolfgang Bug Remover Spritz tackles dried-on bug splatter with ease. 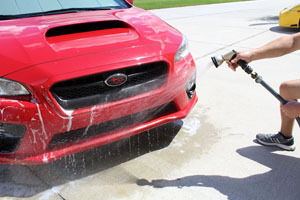 Simply spray it directly onto your bug-infected vehicle, allow the special enzymes to dissolve stubborn bug remains, then wash and rinse. That’s it! 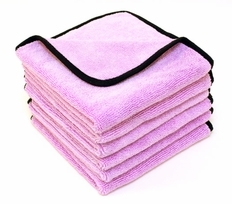 The wax coating will be preserved. 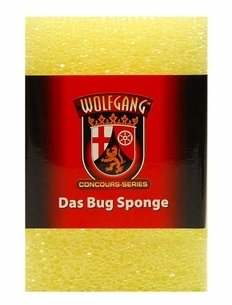 For stubborn bug splatter, use in conjunction with the Wolfgang Das Bug Sponge. You’ll be amazed at how well these two products work together! Wolfgang Bug Remover Spritz is 100% surface safe – use it with confidence! 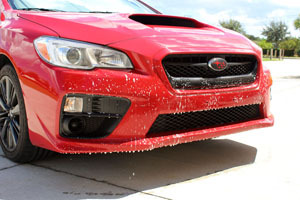 What you should be concerned about is acidic bug splatter and the havoc it wreaks on your vehicle’s finish. If not removed in a timely manner, bug splatter will create unsightly etch marks on paint, glass, chrome, and plastic. Safely remove bug splatter using Wolfgang Bug Remover Spritz before it causes permanent damage!